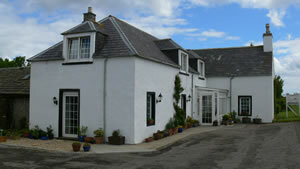 We offer a very comfortable and friendly Bed and Breakfast near John O'Groats, Thurso, Wick and the Orkney Ferries. 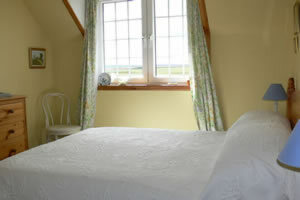 For great value and a reasonable daily or longer rate please telephone 01955 621223 to book or contact us by e-mail. Located a few miles from Wick and Thurso we are an ideal location to explore Caithness and the far north of Scotland including the beautiful area of north Sutherland - Bettyhill, Melvich and Tongue. 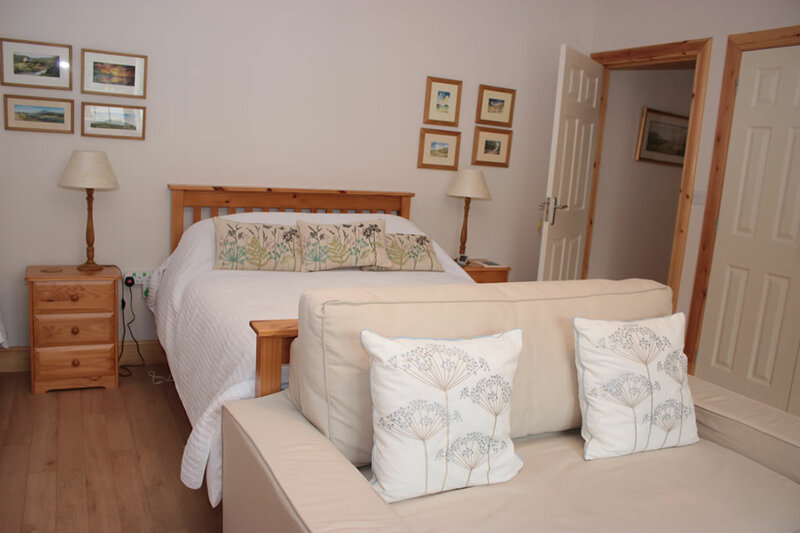 Our bed and breakfast is also ideal for a trip to Orkney with two main ferry points to Orkney nearby as well as the passenger ferry available in summer from John O'Groats. 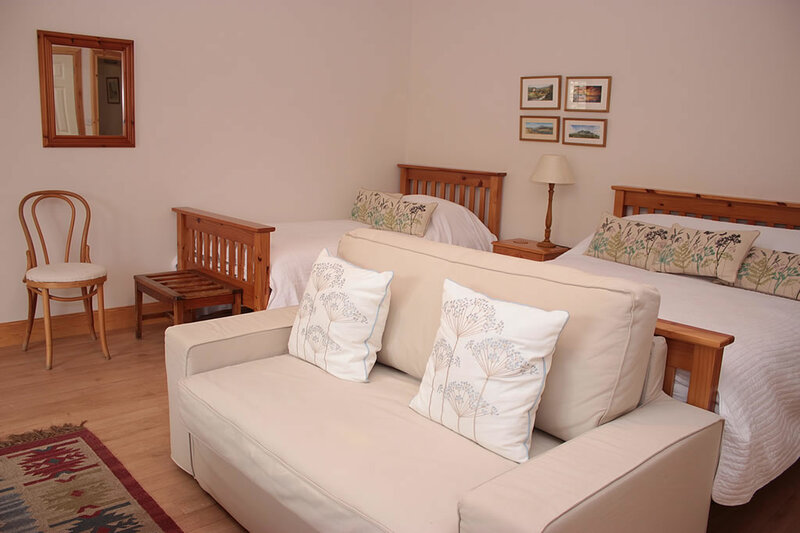 We have four rooms available and can accommodate 8 guests including an on-suite room on the ground floor. Our comfortable bedrooms will assure you of a great night's sleep and we will cook you a breakfast to set you up for the day ahead. 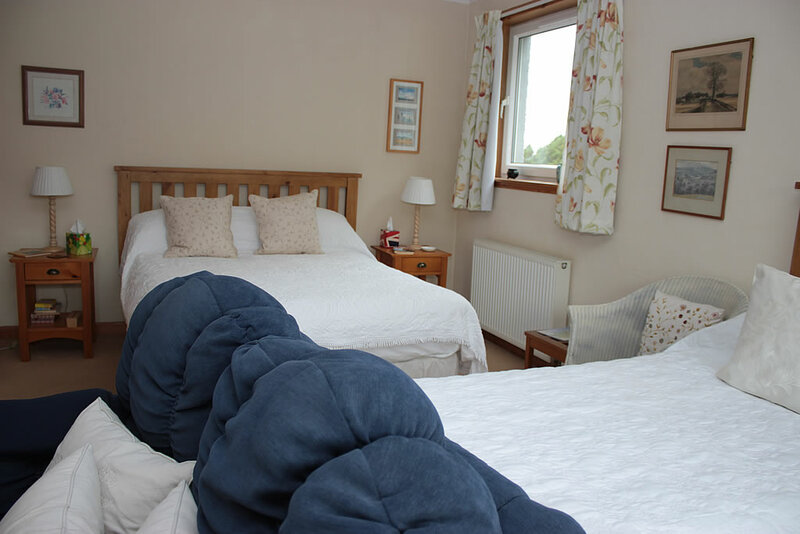 Our four bedrooms consist of two family rooms and two double bedrooms. 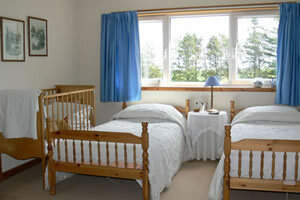 This room has 1 double and 2 single beds plus a cot. It has an en suite bathroom. More information on the family room. 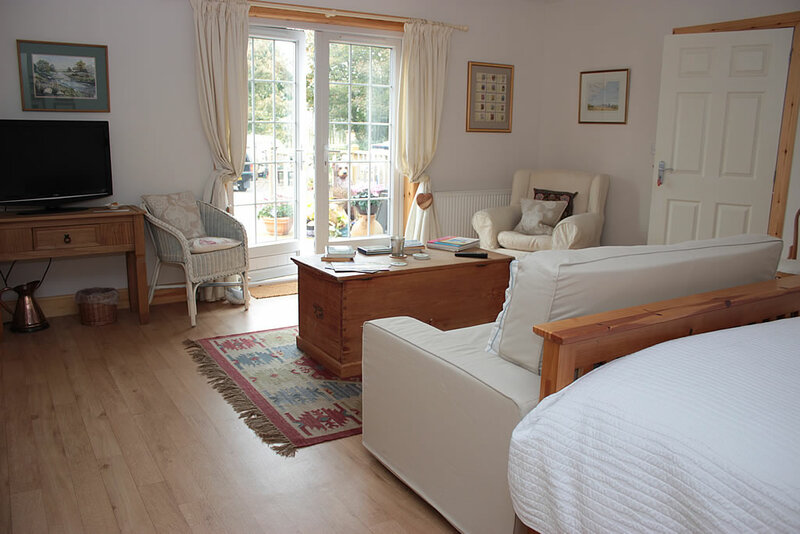 We have two other double bedrooms available, one on the ground floor. 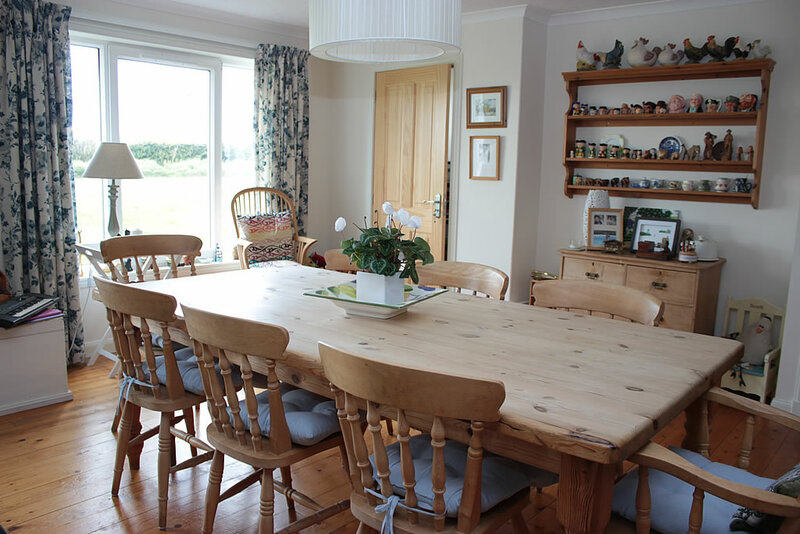 Kathryn Mackenzie welcomes all visitors to Loch Watten House whether you are on a fishing holiday, using the B&B as a base to explore the Caithness area, staying on business or requiring an overnight stay on your way to Orkney. 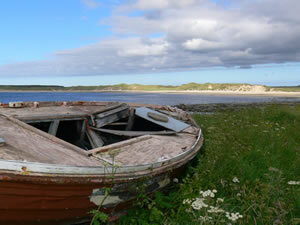 We are located centrally between the towns of Thurso and Wick and next to the famous trout loch – Loch Watten. Phone or e-mail to arrange your bed and breakfast at Loch Watten House, we are about 15 miles from the Scrabster or Gills Bay to Orkney ferry, 10 miles from Wick and 14 miles to Thurso. 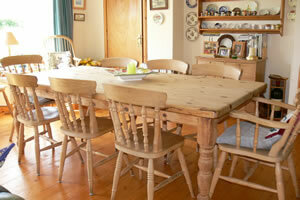 Breakfast is served on a large farmhouse table in the day room where there is a choice of cereals, porridge, full cooked, tea, coffee, juice etc. from 7.30am - 9.30 am or earlier to suit eager fishers. We strive to make your stay a comfortable as possible and do what we can to be flexible and accommodate the varying needs of our guests. 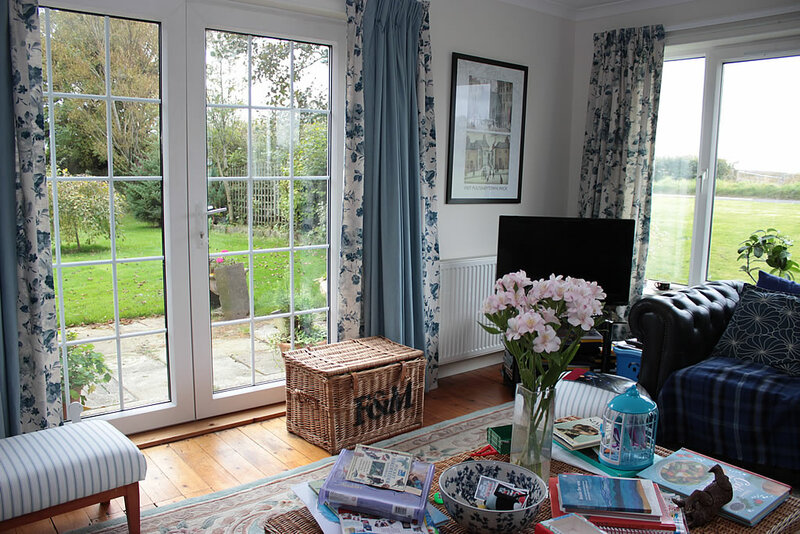 Our breakfast room looks onto our garden. You'll be pleased to know that your breakfast eggs will usually have come from our own free-range chickens. 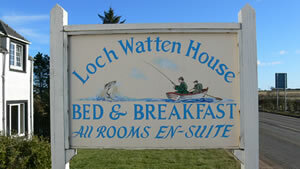 Loch Watten House was originally a farm house, then a coaching inn. Following this it was a hotel for some time. 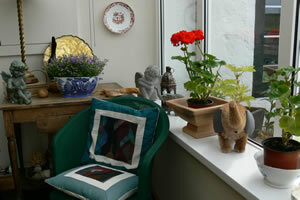 It is now our home and we run it as a guest house which we established in 1997. 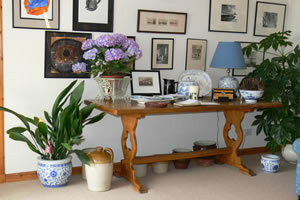 Our home has been lovingly restored over many years and we do hope you will enjoy your stay with us. 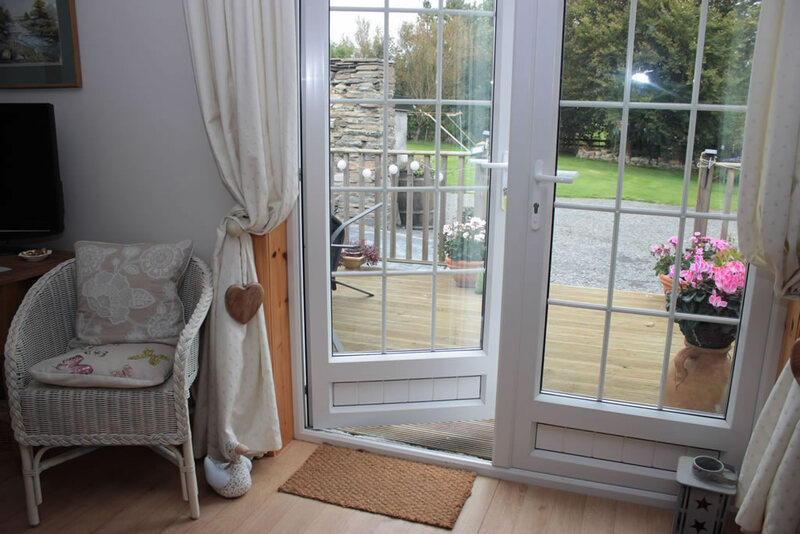 Three bedrooms are on the first floor so may not be suitable for disabled access. 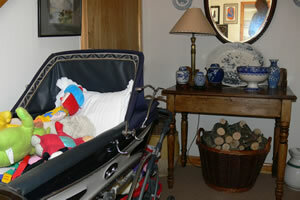 We have a large downstairs bedroom suitable for wheelchair access. 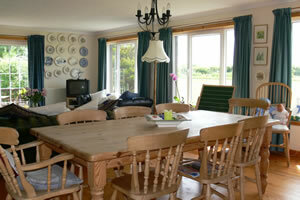 The living room is available for guests to sit and read, watch TV or chat to other guests. 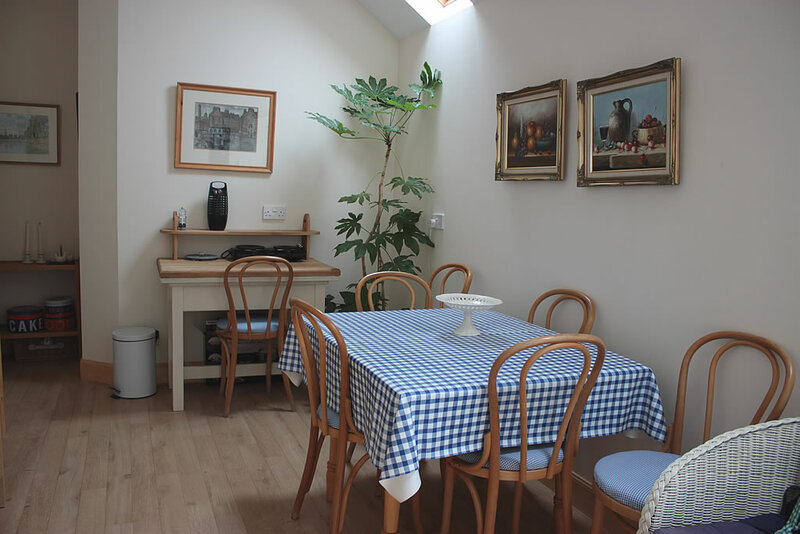 Our home is children friendly and families are always welcome. If the weather is warm you are welcome to use our outdoor seating area and to watch the wild birds in our garden. Caithness has several beautiful beaches which are ideal for walking dogs, taking the children to play on and fishing for bass, sea trout and many other species of sea fish. 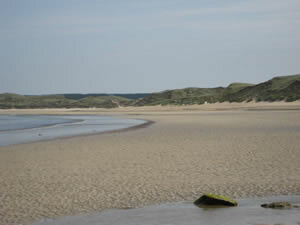 The wide sands of Reiss and Keiss in the east of the county, and Dunnet and Duncansby on the north coast are very popular with local people and visitors. Thurso has a sandy beach near the harbour. There are also a number of hidden beaches you can get access to if you are willing to walk a short distance. Caithness is close to some of the most stunning beaches in the neighbouring county of Sutherland , notably Melvich, Strathy and Bettyhill along the north coast. These are often visited by surfers and other watersports enthusiasts. The rest of us just love them as they are so clean and unspoiled. 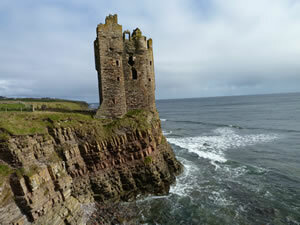 Caithness is famous for John O'Groats and is visited by people from all over the world. Many people just visit John O'Groats to be able to say they have visited the most northerly inhabited location in Britain. When you visit John O'Groats we also recommend that you take the short journey to see the Duncansby Head Lighthouse and the coastal walk. 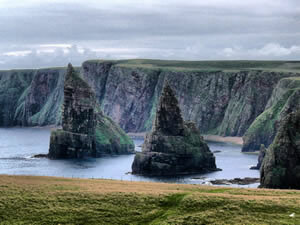 A short walk from the Duncansby Lighthouse, along the coastal walk, you will see the outstanding Stacks of Duncansby, this area is also well known for a wide range of bird life including puffins in the spring and early summer. Camster Cairns is one site which is close to Watten (a few miles by car or bike) that is open to the public all year. It is an interesting place to visit and kids will love it. 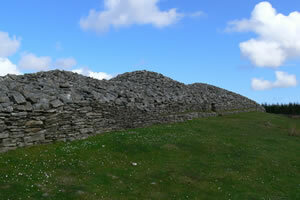 Many other cairns are less obvious and are now just mounds of grass, yet they represent a historical journey going back thousands of years involving the Picts and Vikings - to learn more about Caithness history and recent achievements we can recommend you visit Caithness Horizons in Thurso. Caithness Horizons is free to visit and consists of exhibitions and information on Caithness - historic past and recent past of Caithness, including a display area on the building and decommissioning of Dounreay nuclear power station. 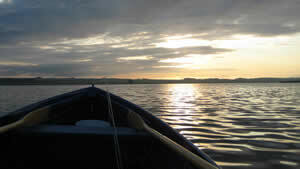 Loch Watten can be seen from the house and boats are available to rent from Hugo Ross in Wick and from other local sources including George Calder at Central Caravans. Permits for the many other lochs can easily be arranged for trout fishing and most of the lochs have boats available. 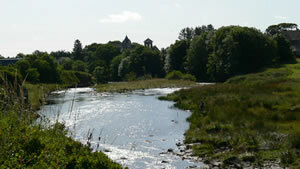 Nearby is the River Wick which is famous for salmon fishing. The Thurso River is also close (about 15 miles away) to our B&B and daily and weekly salmon fishing permits can be arranged locally. Some of the best sea angling sites can be found off the Caithness coastline and there are plenty of spots for fishing, off beaches and rocks, or on a boat charter sea angling trip from Scrabster. 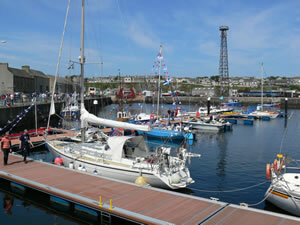 The historic Wick harbour has been transformed with its new marina, which is full of local and visiting vessels during the summer months. 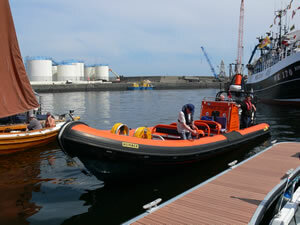 The boat shown here is Geo Explorer, which operates a series of fascinating and exciting trips around the east Caithness coastline. 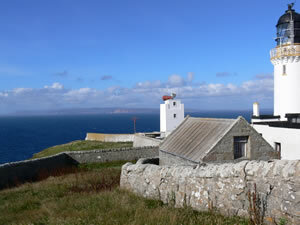 If you’d like to discover the stunning coastal scenery of sea-stacks, arches, tunnels and caves to the north and south of Wick, while enjoying some close encounters with the resident bird life, visit the Caithness Seacoast website at www.caithness-seacoast.co.uk for schedule and prices. Life jackets and waterproofs are provided, and boarding easy via one of the marina pontoons; a hydraulic chair lift is available for people with restricted mobility. There is loads more to see and do in Caithness, so the next time you plan to visit Scotland put Caithness on your itinerary. 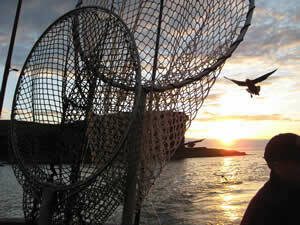 Caithness has a rich and varied wildlife including massive colonies of breeding seabirds. Puffins can be seen on the cliffs near John O'Groats, while around the rugged coastline there are sightings of otters, seals, dolphins and occasionally whales. Boat tours are available from Wick harbour and John O'Groats, giving a close-up view of the fascinating coastal geology as well as the abundant wildlife. Caithness has a rich heritage going back thousands of years as well as clan history including the Altimarlach Cross marking the site of the last feudal clan battle in Scotland on 13 July 1680 between the local Sinclair clan and the Campbell clan from south-west Scotland. Caithness has hundreds of prehistoric sites some are marked on OS maps, others are still to be discovered. 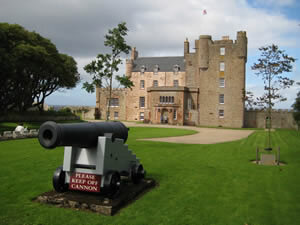 One of our favourite places is the Castle of Mey the much-loved former holiday home of the late Queen Mother. The castle and gardens are open throughout the summer, apart from those dates when Prince Charles is in residence. The Queen Mother restored the castle and gardens after she bought the fairly derelict fortress in the 1950s, and she returned each summer throughout the rest of her life. There’s a restaurant and gift shop within the castle grounds, while the nearby animal centre is a great family-friendly attraction. The gardens now have a viewing turret. For more details visit the Castle of Mey official website. 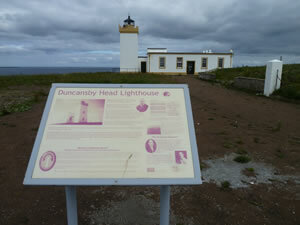 Dunnet Head is the most northerly point on mainland Britain and is well worth a visit to see the Light House as well as watching out for whales and dolphins. During the summer months this iconic tribute to old crofting days is open to the public. A small entrance charge is made to help maintain the building. 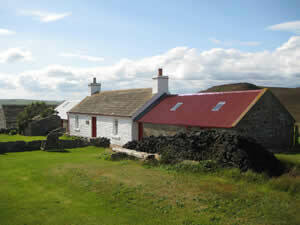 The croft was occupied up until 1990 by Mary-Ann Calder who had lived in the croft her whole life and her family had lived on the croft from the 1850's. 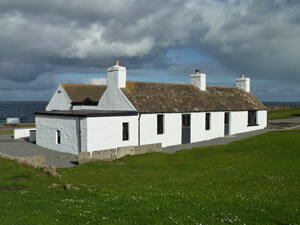 Mary-Ann's Cottage is located at Dunnet. If you look at an OS Map of Caithness you will notice many places with historical backgrounds: brochs, standing stones and castles. 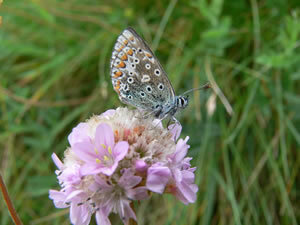 Many of these can be visited easily on foot. 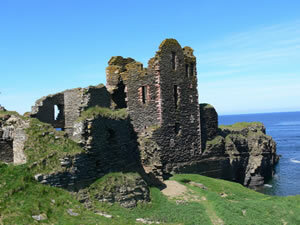 The picture above is of the old Keiss Castle which can be visited with a short walk along the cliffs from the village of Keiss. 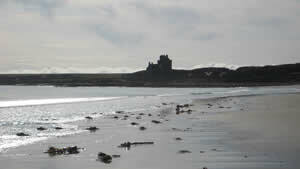 Another castle that is also free to visit is the Castle Sinclair which is a short drive from Wick. The castle is a short walk from the car park and you can cross over the moat into the castle. 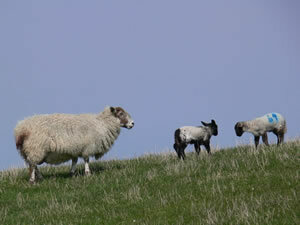 Caithness is a farming and fishing community and the spring is a nice time to visit as you get to see the early burst of green fields and spring lambs, it is a joy to watch newly born lambs running about and obviously enjoying themselves.